Last week, Carnival Corp & plc announced that it was awarding a major advertising contract to PHD to act as its international media agency of record for the seven of its ten brands that comprise the Anglo-American English-speaking market. 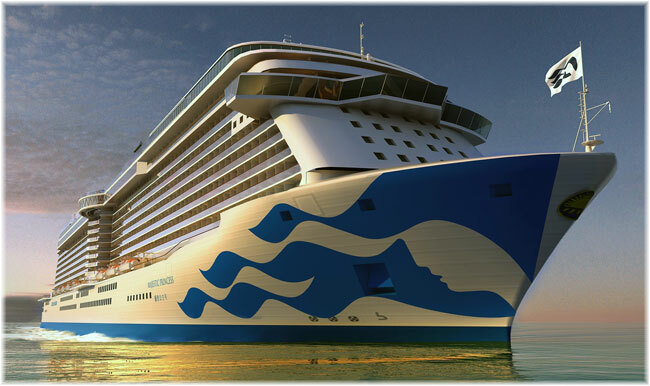 The brands that are not included are AIDA Cruises and Costa Cruises, which work in different language markets in Europe, and P&O Cruises Australia, based in a different geographical market. Meanwhile, Queen Mary 2 arrived at the Blohm & Voss yard in Hamburg in for a 25-day refit that will see new cabins and facilities added. And Royal Caribbean has ordered another “Oasis” class ship as well as two more “Edge” class ships for its Celebrity Cruises brand. Think Google, think Warner Brothers, think Unilever, think Nike. It is into the hands that handle these brands that Carnival is about to entrust seven of its ten brands when it comes to buying media. Last week, Carnival Corp & plc, calling itself the world’s largest leisure travel company, announced it was partnering with PHD, a leading Omnicom advertising agency, to handle all media planning and buying for seven of its ten global cruise brands in the UK and North America. With Omnicom teams in both the US and the UK collaborating on the business, the coordinating office will be PHD New York. For these seven brands, Carnival will be consolidating from six agencies to one, as it awards PHD its media planning and buying business based on the firm’s global expertise, capabilities and purchasing power. PHD will handle media planning and buying responsibilities for Carnival Cruise Line, Fathom, Holland America Line, Princess Cruises, Seabourn and, in the UK, P&O Cruises and Cunard Line. PHD already supports media buying for Carnival Cruise Line and Cunard Line, having handled these two accounts for the last three years. Meanwhile, Arnold Worldwide will remain Carnival Cruise Lines’ creative agency of record, while New York-based Figliulo & Partners will continue to handle Seabourn, having been appointed just six months ago. The move rakes advantage of Carnival’s scale as the world’s largest cruise company to improve the coordination of media buying across seven brands in two markets. This is expected to help generate awareness and drive increased demand for cruising, while saving millions in media costs. In 2015, Carnival brands in the two regions combined made up $116 million in media spend. “Bringing together our brands to work with a world class agency like PHD enables us further to enhance our digital and traditional media strategies to grow demand for cruising as the world’s best vacation choice,” said Josh Leibowitz, chief strategy officer for Carnival Corp & plc. PHD will use its purchasing power, research resources and business intelligence tools to provide Carnival Corp & plc with strategic expertise and support for its marketing programs. 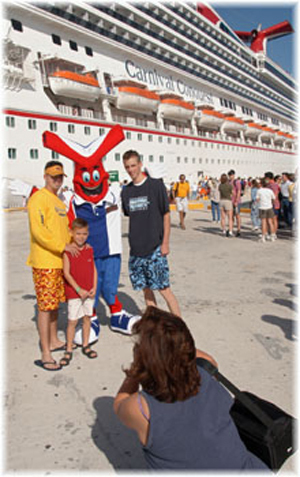 PHD will work closely with Carnival Corp & plc and its brands. How this will impact the various brands concerned is yet to be seen, but Carnival Corp & plc seems now to be turning into more of a conglomerate than the collection of independent brands it once was, albeit with combined back office and purchasing synergies. A year ago, Royal Caribbean International selected Boston-based Mullen Lowe as its new lead agency after its own creative review, replacing J Walter Thompson, which had handled the brand for eight years. In the creative contest, Mullen Lowe beat three other agencies for the RCI account, and in a subsequent contest was joined by its media arm Mediahub in handling the RCI account. 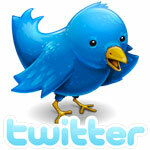 The brand’s annual media spend is around $80 million. Royal Caribbean CEO Michael Bayley said at the time that he was impressed by Mullen Lowe’s strategic and creative thinking. RCI’s sister brand Celebrity Cruises, meanwhile, six months ago announced it’s new “Modern Luxury Lives Here” campaign and last month acquired a new Chief Marketing Officer in Peter Giorgi, former head of global advertising for AirBNB. 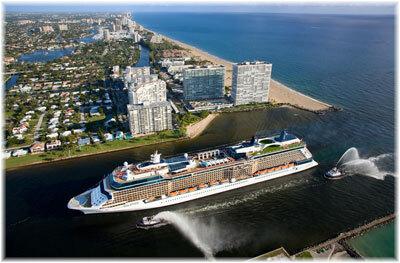 Look for more to follow as new Celebrity ships come on line as well. On Friday, Cunard Line’s 2,620-berth flagship Queen Mary 2 began an extensive 25-day dry-docking and refurbishment at the Blohm & Voss Shipyard in Hamburg, which will bring her capacity up to 2,705 lower berths, adding about 3.25% to her earning power. 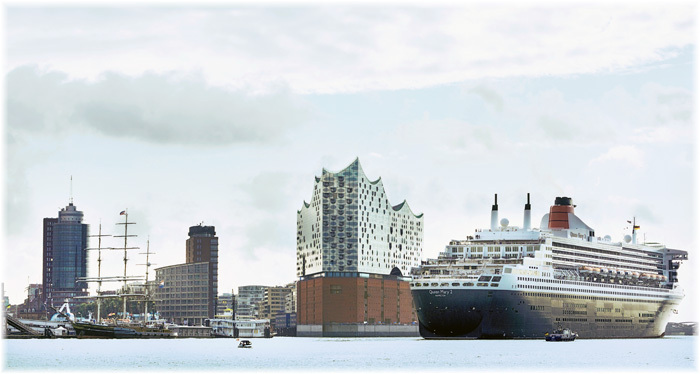 Her first post-refit sailing will depart from Hamburg on June 21 via Southampton to New York. The ship will receive thirty new Britannia Club balcony staterooms, to be installed on Deck 13, five new inside cabins, also on Deck 13, and fifteen new single cabins around the ship, the first for this ship. As well, ten new kennels will be added to the existing twelve for her traditional canine and feline guests. 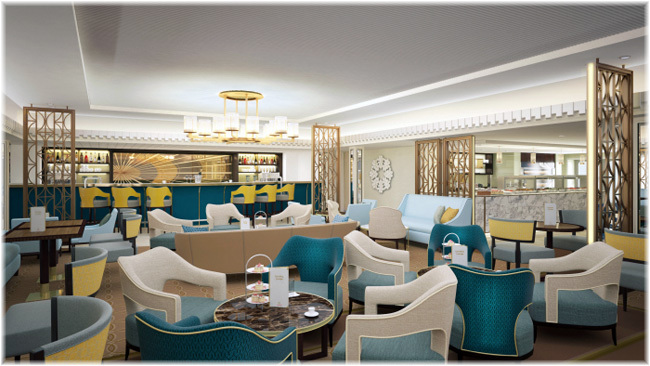 The underused and unappreciated Winter Garden will be replaced with a more comfortable venue, to be called the Carinthia Lounge, which will offer alternative breakfast and lunchtime dining options as well as premium coffees. The Todd English meanwhile will become The Verandah Restaurant. Royal Caribbean Cruises has signed with STX France for a fifth Oasis class for its Royal Caribbean International brand and the order for Celebrity Cruises’ new “Edge” series ships, to start delivery in 2018, will be increased to four ships, up from the original two. So far very little is known about the “Edge” class ships but there is no question that they will be innovative and contemporary. The new 2,900-berth ships will be marginally smaller than the five “Solstice” class ships already in service. The first two will be delivered in 2018 and 2020, and the latest pair in 2021 and 2022. With this, one observer notes that Royal Caribbean will have about 780,000 gross tons of new ships on order for RCI, with another 480,000 for Celebrity, leading to speculation that Royal Caribbean International could eventually become the largest cruise brand within a few years. In addition to these, there are four ships on order for half-owned affiliate TUI Cruises. The “Edge” class will apparently be contemporary ships that will be able to go head to head with Virgin Cruises’ new ships, of which three 2,800-berth vessels have been ordered from Fincantieri for delivery in 2020, 2021 and 2022. Celebrity has engaged London-based Softroom as the design firm for the staterooms. This firm has designed many of Virgin’s latest airport clubs as well as many boutique hotels and hipster restaurants in the UK and New York. Meanwhile, Azamara Club Cruises is unlikely to be ordering any new ships in the near future. The line’s ceo Larry Pimentel said last week in the UK that an over-tonnage situation is now developing in the deluxe and ultraluxe sectors with recent new deliveries for Viking Cruises and orders for three ships from Crystal Cruises, two new ships for Regent, four expedition style ships for Ponant and two polar class mega-yachts, one each for Crystal and Scenic.